To enroll, please visit our storefront at https://squareup.com/store/sparks31. I also accept cash, PMs, and limited barter. Please email me via ticom.new.england@gmail.com for more info. This intensive two-day class covers instruction on Technology, Intelligence, and Communications. Subject matter includes intelligence preparation to support SIGINT, signals & communications intelligence (SIGINT & COMINT), open source intelligence (OSINT), communications systems available for groups and individuals, communications interoperability, electronic surveillance systems/countermeasures, and related support technology. 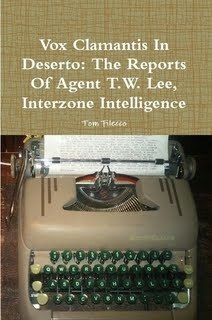 Learn how to identify your intelligence requirements, how to really identify and then bypass "fake news" as it applies to your intelligence requirements, collect intelligence information via SIGINT, COMINT, & OSINT, what communications services/systems are available to you & the advantages/disadvantages of each, and how to interoperate with ad hoc assemblies of groups and individuals in a "come as you are" scenario. This is a class suitable for both renaissance individuals looking to expand their skill base, or a group's "go-to" person for tech-type stuff. No equipment is required to attend, but attendees are encouraged to "come as you are" with whatever gear you have. You will have an opportunity to play with it Saturday night and Sunday, iron out bugs, and see how well you can interoperate with others. Otherwise, this class is best for people who have some electronic communications and tech experience as we get into some advanced material. The early bird rate for this class is $300 for individuals, $500 for two people. I encourage you to bring your spouse, significant other, war buddy, or whomever to come learn with you. Enroll via https://squareup.com/store/sparks31/.